Mr. Smith’s mixed grade Shop Club (with help from his grade 8 class) built five dog houses as part of their school’s Community Dog House Project. 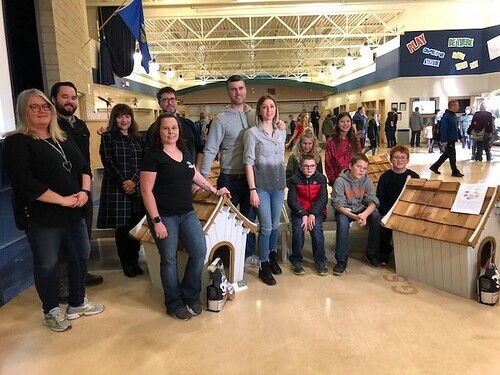 The students made the five custom-built dog houses, furnished with cushions and blankets, and donated them to Lethbridge Family Services! By the end of the school year, 15 dog houses will be built and donated to those in need. Click here to read this news article about these amazing students!